Our platform is built with the latest technologies, which allows our customers to have a painless integration process. We realise integration in days, not months. Through our modern RESTful API, we offer a future-proof gateway, which connects you easily to the e-Commerce world. 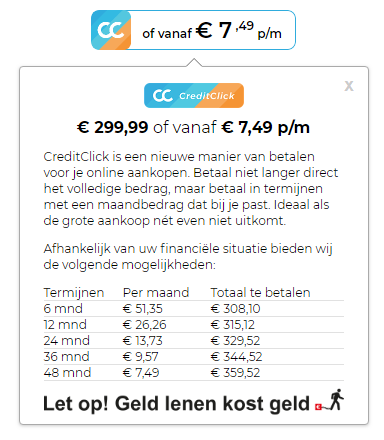 The CreditClick Price Module enhances conversion by highlighting the estimated cost per month already on the product page and in the shopping cart (“Pay at once or pay X per month”). The estimated cost per month is calculated automatically and is explained to the consumer in compliance with the local credit regulation. CreditClick Price Module is available for WooCommerce and Magento 2 eCommerce platforms as a plugin. It is also possible to integrate the CreditClick Price Module in your custom web shop implementation. See our GitHub repositories for more information. PSP API Documentation is available on request as well as a PSP Sandbox. 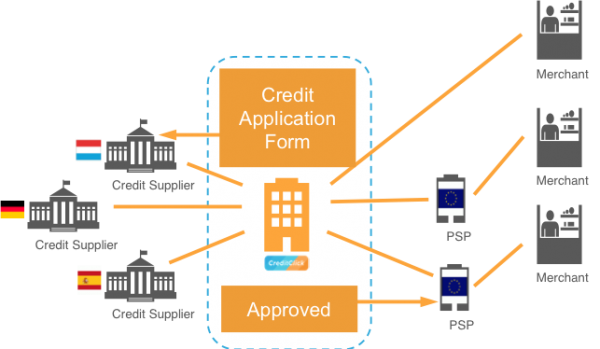 Would you like to know more and get access to our API Documentation as well as the Sandbox? Send us an email and we’ll email you back quickly with the login details.